Safari is one of the biggest loopholes made by Mac developers, which has bugs in every release. One of them is the automatic downloading and opening of the files that you click in a web page. Safe files are those which contain the package installer and disk image files for installation of applications in mac. They may contain the malware sometimes. Generally, Safari comes with the feature of opening the files automatically but is made flexible for you to choose whether to open the files automatically or not. 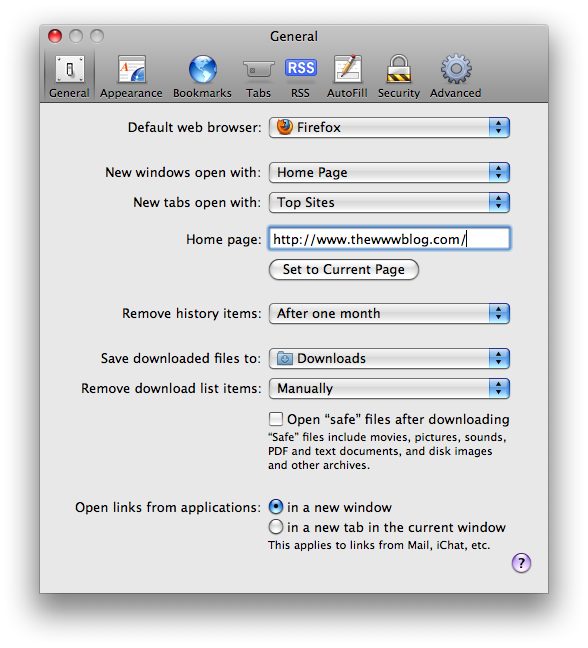 Open the menu in safari, and select Preferences. Click on the General tab and there you would need to uncheck “Open ‘safe’ files after downloading.” This prevents automatic opening of the files, and you would manually need to go to the downloads folder and open the files. Password is one of the most basic security measure for any computer. The more stronger password you have, the more is the security. Try to keep you password as hard as possible but easy for you to remember, and keep changing your password from time to time. Here are a few tips on how to create strong passwords. Apple also provides you with a password assistant which helps you in creating stronger passwords with the requirements you provide. It can produce random passwords based on just alphabets, letters and numbers together etc. It also provides you tips on how to make a password more stronger. To open the password assistant, go to System Preferences > Accounts > Change Password and just beside the password entry box, there is a key icon. Click on that to open the password assistant. The security section in the system preferences in a mac is always helpful in making your mac more secured, and especially when you are providing a public access to your mac. The first thing some guest would try to play around is with your passwords, and would try to change it if they knew it. 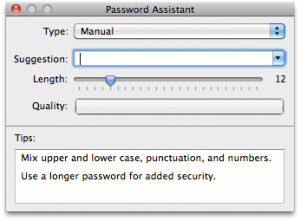 There are several options in the Mac security settings section, where you can password protect the entry into system preferences. You can set the mac to automatically log out after a particular amount of time. 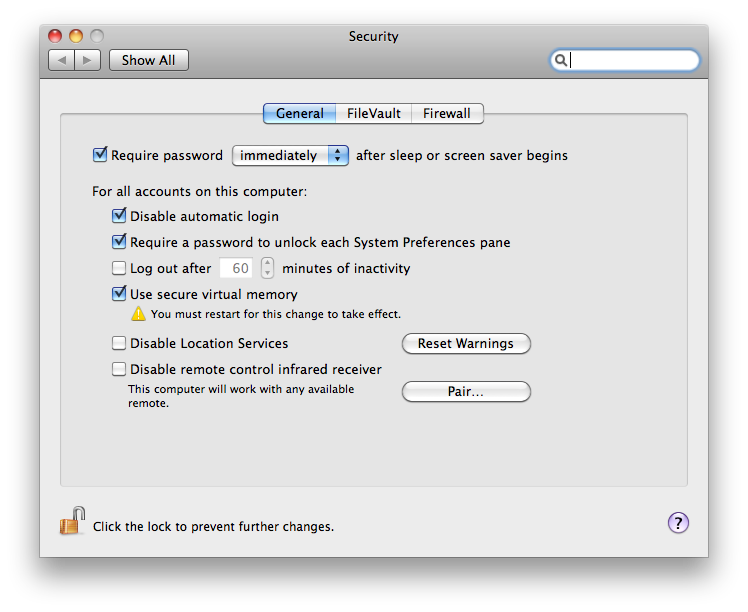 Setting the mac to use virtual memory is also possible. It just enhances every possible security measure in the macbook. Just go to System Preferences > Security for the settings. Whenever mac gets an update, or its any 3rd party software which requires an update, be sure to do that as soon as possible. As the older versions get vulnerable to security breaks and getting hacked is most common then. The built-in feature in mac checks for updates automatically every week by default, but you can make changes to do it daily or monthly too. It checks and notifies you about the update and you need to download it. There is also an option to download the updates automatically if you select it. There are also softwares available which do the same i.e. check for the updates to the mac and also to the various applications in your mac. 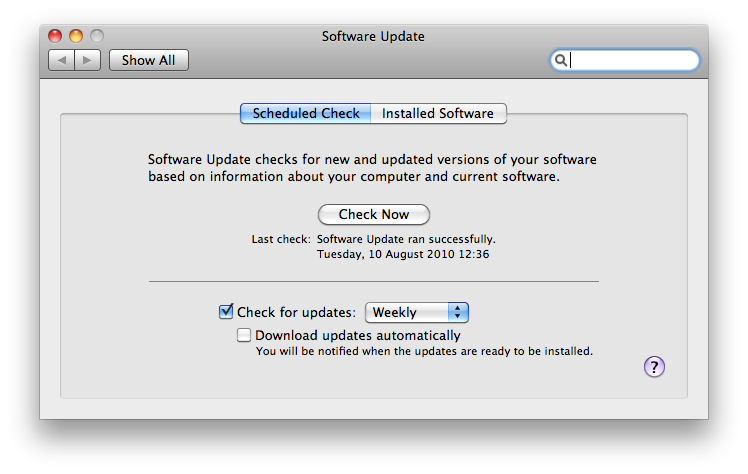 Go to System Preferences > Software Update for the built-in software update checker tool. As already discussed, there are lesser possibilities of mac being attacked by viruses when compared to Windows, but the chances of virus attack is not zero. Mac is more a carrier of virus than being attacked itself. The virus for Windows computers don’t attack mac but stays in mac and is carried through the files transferred to windows. Many virus are transferred through the office documents that are commonly used in both the operating systems. There are several antivirus programs available, which can check and eliminate the viruses and other risk factors in windows and mac. The clamxav antivirus for mac is one of the best, apart from the other lighter versions including iAntivirus for mac, but if you are looking for better options, there are Norton and several others. Its better to use any lighter ones rather than totally ignoring the security measures. It’s always said by the Windows users that Mac too is equally vulnerable to virus attacks as the windows computers are, but that’s not true. Mac is less risky, though there are a few security problems with it. Once those are fixed, Mac is one of the best secured and safest operating systems, leaving Windows a lot behind. 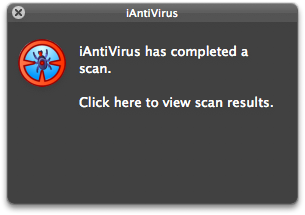 Still, using a good antivirus program for Mac is advised, just to avoid the risk of virus attacks and spyware. Keeping the software updated is always advised, as the most risky time is when the update is released, and till we have updated the system.